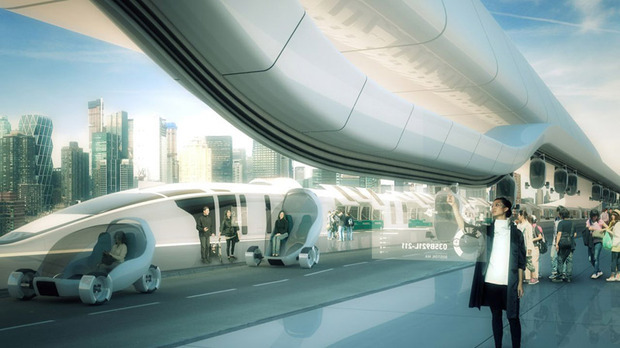 Boston-based architects Höweler + Yoon won the AUDI urban future award 2012 for its Boswash shareway project. 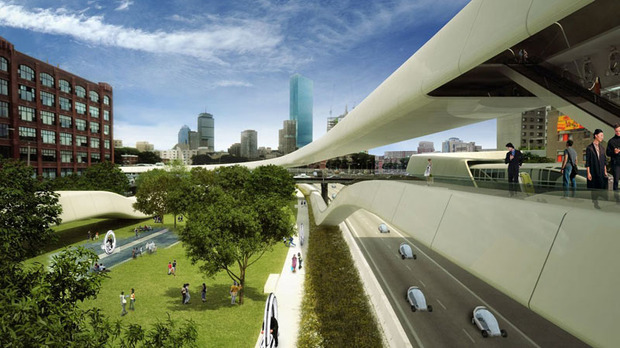 They propose a system to connect existing modes of transportation between Boston and Washington. 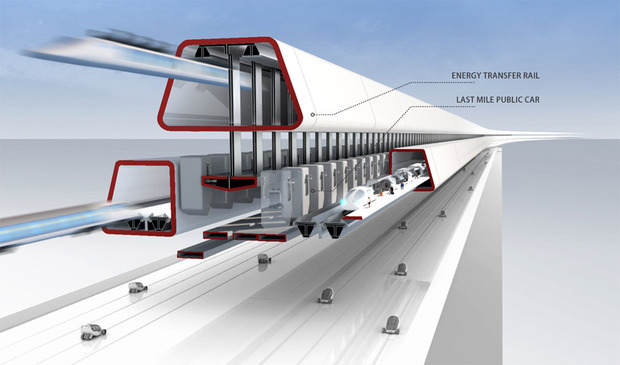 Imagining the system of transportation like transferring data, train, buses, private car and bicycle will travel together in a bundled highway with different layers. Digital interface will be available for travellers to plan their journey and engage themselves in social encounters. Going futher on the concept of collective consumption, the architects also imagine a new model of Sharestay (sharing the house with strangers where residents only pay for the time they are at home) and Farmshare (cultivation along the bundle to use empty space). Another idea of sharing is tripanel ground that rotating between asphalt, grass and photovoltaic cells. The street can be dynamically turned into park or energy source. Look at the video below to learn more about the shareway.